Go to Boca Grande Live! 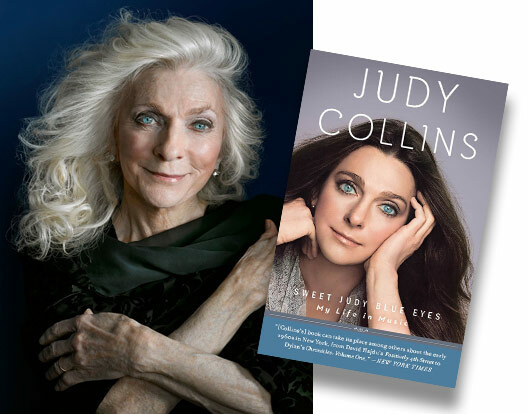 Judy Collins has inspired audiences with sublime vocals, boldly vulnerable songwriting, personal life triumphs, and a firm commitment to social activism. While she is most known for being an award-winning singer-songwriter, esteemed for her imaginative interpretations of traditional and contemporary folk standards and her own poetically poignant original compositions, Judy has also authored several books. In a conversational-style format, Judy will share her extraordinary memoir, Sweet Judy Blue Eyes: My Life in Music. A deeply personal and honest account about her alcoholism, her lasting love affair with Stephen Stills, her friendships with Joan Baez, Richard and Mimi Fariña, David Crosby, and Leonard Cohen, and above all, the music that helped define a decade and a generation’s sound track.